Anyone with disposable income can basically get any food they want year round. I don’t know where honeydew melons grow, but I know that they don’t grow in Massachusetts in February. But if I want one for valentine’s day it won’t be a problem. There are a few staples from the produce section that are missing in the colder New England months: English peas, corn on the cob and cherries. They’re likely available somewhere in the winter, in the corner, but it’s never the same. 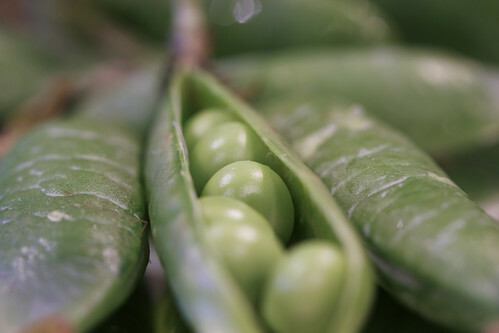 Snow peas are entry level pea pods; easy to cook, and eating the pod is expected. Sugar snap peas are the amateur level pea pods; you can eat the whole thing but removing the individual peas is an option. Moving up to the professional level we have English peas. The pod training wheels are removed as the pod cannot be eaten. One can try, and any pea lover will, but they will find that no matter how long they chew it will never reach a swallowable form. The mesh of green will eventually be spit out. One must learn to de-pod to enjoy the English pea. English peas come in 3 different size: small, medium and large. They are purchased in one size: handful. While a normal bag of cherries may cost $9.00, the same size bag of English peas may cost $0.90. This barely covers their plane ride from London Heathrow. The small English peas are most likely to fall on the floor as the pod is swept by the curling finger. They are sweet, but too small to properly satisfy. Large English peas are chalky and sometimes bitter. The middle medium pea is the sweet spot. If Madonna demands English peas, they best be of the medium size. I’m not a farmer but I imagine there’s no other way to grow corn. There’s no non-cob option so “corn on the cob” should sound redundant. Everyone loves the convenience of canning and freezing vegetables so the cob piece is not assumed. 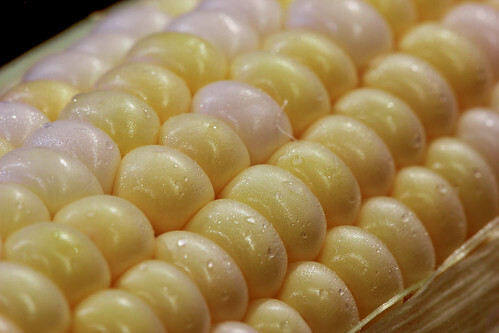 However, having in-season corn on the cob reminds me of how great this starchy vegetable actually is. This was the way corn was meant to be eaten and months away from the real thing reminds me of that fact. While not necessarily seasonal, carrots are another vegetable that shines best in their original form. Health nuts everywhere dip their baby carrots in hummus not realizing how delicious an un-cut carrot is. Summer’s official start is June 21st. Summer’s unofficial start is Memorial Day. But summer’s un-unofficial start is the day Whole Foods has their giant display of cherries. It happens in early May, and while expensive, they are always worth it. 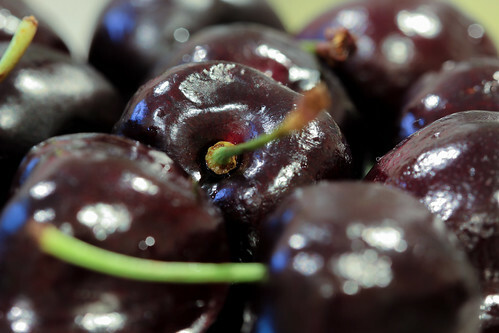 I look for dark, hard and large cherries. Small ones tend to be bland and soft ones can taste like garbage. There is a culinary staple I make for dinner during most every heat wave. No one wants to add to a 90 degree day with a 350 degree oven so this healthy cold salad is perfect. My mom used to make it growing up and the recipe is unchanged, and unchangeable. Some Chicken. Boiled and Cubed. 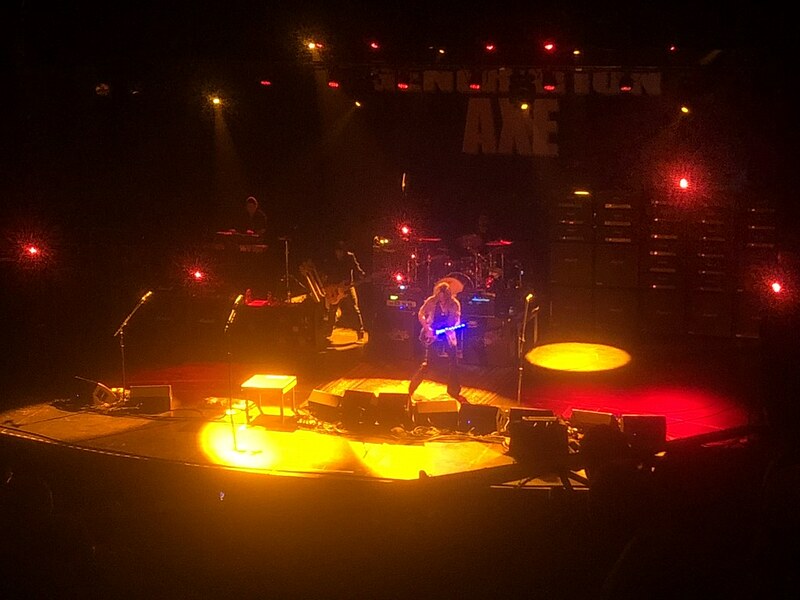 There are no possible additions or replacements. My wife tried to make this for a picnic when we first started dating. Cherries weren’t available yet so she chose to use sliced strawberries instead. It didn’t work and I likely couldn’t hide my disappointment. I’ve driven by many corn fields in my life. My parents once used to grow English peas in our backyard. But cherries? 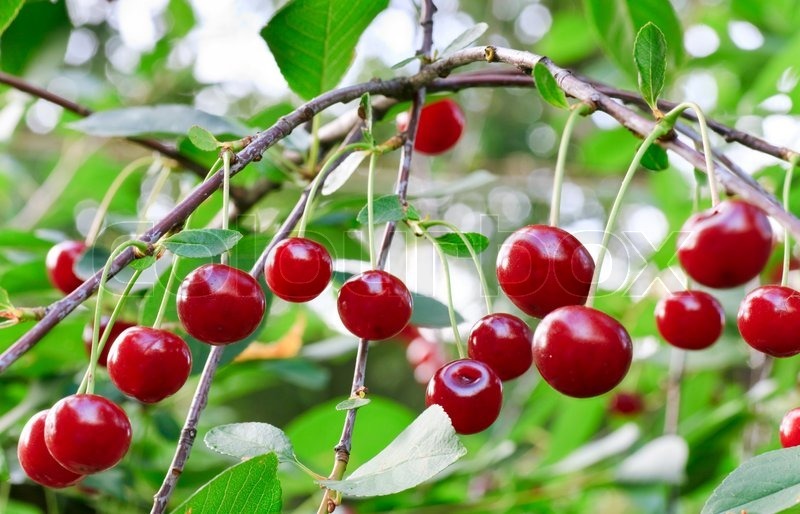 I’ve never seen cherries in their natural habitat so I googled it. I understand that food grows on trees, bushes, underground and on the backside of cows but the photos of cherries growing on Trees made me laugh. It’s like seeing a big mac grow on a tree.